If you are looking for the newest toys for yourself or for your kids, come to one of the toy stores in NV. These stores have everything you are looking for from dolls to trucks and stuffed animals to dinosaurs. Give your kids a special present from one of these Nevada toy stores! Learning Express Toys has a wide ranging selection of toys that is hard to beat in Nevada. From the latest LEGO set for a birthday present, to an American Girl doll to place under the Christmas tree, the shop has any and every toy a child could want. Furthermore, to ensure great fun, every toy is of the highest quality and is safety tested. With two locations, and a “your neighborhood toy store” focus, Learning Express Toys is bound to not only be convenient, but also offer you excellent service. They are open Monday – Saturday from 10am – 7pm and Sunday from 10am – 5pm. This is one of the great toy stores in Nevada! 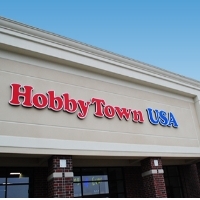 HobbyTown USA was founded by Merlin Hayes and Thomas Walla in 1980. There are over 170 HobbyTown USA franchises open. Their motto is “Building Your Dream”. Visitors will be featured with a vast array of hobby items from remote control planes, railroad models, rocket sets, paint tools, telescope and educational toys. The store also provides indoor and outdoor fun. Indoor fun activities are puzzles and brain teases, slot cars, arts and crafts, and constructing toys. Outdoor activities are flight toys, metal detecting and outdoor sports. 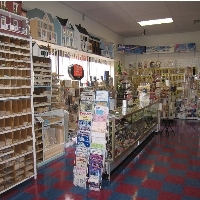 This toy store in Nevada is open 7 days a week, Monday to Friday from 10 a.m. to 7 p.m., Saturday 10 a.m. to 6 p.m. and on Sunday 12 p.m. to 5 p.m.
Dansey’s Hobbies in Nevada, is a toy store for all the visitor’s hobby needs. The store has many hobby items and toys such as doll houses, miniatures, models, rockets, skateboards, puzzles, science projects, accessories and supplies. The staff is friendly and always ready to help the visitor. All toys by land, air and sea are provided by this store. If the visitor happens to be in need of old remote control car parts, Densey is able to provide that at half price. The store opens from Monday to Friday from 10 a.m. to 7 p.m. and on Saturday to Sunday from 10 a.m. to 5 p.m. Please call them for holiday hours. Animaland has over 400 locations worldwide. This toy store in Nevada specializes in animal dolls. Their free online game is fun and children can make their own Animaland. The company is reputed for producing hygienic stuffed toys so children can play with the dolls as long as they like. 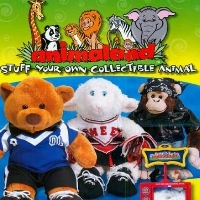 Various stuffed and trendy animals are available on their stores. The store offers customers an interactive retail experience where they can choose a variety of animal designs and accessories, and personally bring the stuffed toys to life. The newest collection includes dinosaurs like Tyranasaurus, Velociraptor and Triceratops. 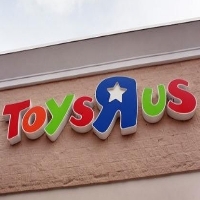 Toys R Us is one of the largest toy stores in the world. They have many toy collections from action figures, arts and crafts supplies, baby toys, books and movies, dolls and stuffed animals, learning and educational toys and many more. 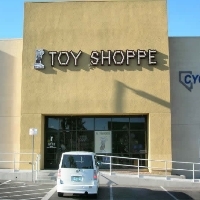 This toy store has more than 3 stores in Las Vegas, Nevada. It is open 7 days a week, Monday to Saturday from 10 a.m. to 9 p.m. and on Sunday from 10 a.m. to 7 p.m.
Their service is great and the store is always busy with customers. The staff greets everyone coming and helps customers if they need any assistance. 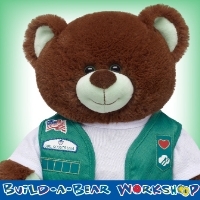 Build A Bear was founded by Maxine Clark, this toy store in Nevada has the most iconic item in America, the Teddy Bear. Customers are guaranteed for satisfaction of their bought bear. The Bear products are soft, stitched with care, and provide product safety for children against harmful material. The store opens daily from 10 a.m. to 9 p.m. except for Sunday which opens from 11 a.m. to 7 p.m. It is their mission to bring the Teddy Bear to life so children can have warm thoughts about friendship, trust and comfort. The Disney Store is an international toy store with a specialty of selling only Disney related items. 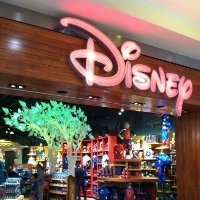 This store located in Meadow Mall, Nevada, offers the latest in official Disney merchandise, including Disney toys, clothes and Disney collectibles. It opens daily from 10 a.m. to 9 p.m. except on Sunday from 10 a.m. to 6 p.m.
Customers, especially children, can add to their collectible Disney items such as Pooh, Disney Princesses, Fairies and many more. They also sell clothes for kids and babies, dressing them with cute and adorable designs, also home and décor items such as kitchen and dinnerware, bed and bath products, and so on. Located in Reno, Nevada, Patton Puzzle Pleasures is a toy store specialized in the latest brand name factory sealed puzzles. For every puzzle lover this store is their heaven because the price is excellent and the quality is great. Famous artists such as Josphine Wall, Thomas Kinkade, Jan Van Haasteren and many more are the puzzle artists whose work is sold in this store. The featured items are SunsOut, Ceaco, MasterPieces, Mega, Winning Solutions 3D Puzz, 4D Cityscapes, Ravensburger and Eurographics puzzles. Customers can visit the shop or order online and the shipping is within 1 business day after a cleared payment. 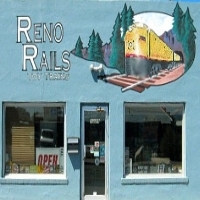 Reno Rails is a Nevada toy store specialized in trains and their accessories. It was founded in 1998 by Bill and Lili Moffit. The store has a display layout to demonstrate MTH’s Ready To Run starter sets. It also specializes in S, O and G Gauges, and has a limited selection of MTH’s HO product line. The store is filled with excited parents and children looking for a way to enter the world of model railroading. It is also a perfect place for old citizens to relive their past memories. The store opens only on weekends from Friday to Sunday at 12-4 p.m. The Kettlemuck Toy Shoppe in Nevada has a lovely elf creature as their mascot. The store is a great place for adventurous children who like to seek the hidden treasures in the Great White Sand Dunes of The Jungle. The treasure includes rare oddities, trinkets, tiny toys, and precious gem stones from around the world. It also hosts birthday parties for children and they have Mortimer the Talking Tree to entertain the children. This NV toy store opens from Monday to Saturday from 10 a.m. to 5 p.m. and on Sunday from noon until 4 p.m.